There are 92 sides in English football’s top four divisions and none of them is harder to assess than Portsmouth, the favourite to win the English League Two title six years after it won the English FA Cup at Wembley Stadium. Bookmakers are quite within their rights to offer whatever odds they like but any punter who backs Portsmouth at odds of around 6.00 is taking a massive leap of faith because no-one, not even Pompey manager Guy Whittingham, knows how the fallen giant is going to fare. Portsmouth has more than 10,000 season ticket holders and there is optimism on the south coast for the first time in years but Whittingham is a relative novice as a manager and Pompey have to deal with a huge weight of expectation that would smother most teams. Queens Park Rangers and Wolverhampton are questionable title favourites in the English Championship and English League One; Portsmouth is a false favourite for the English League Two crown. There are better 6.00 bets available every day. In all honesty, the English League Two title betting market going into the first round of matches does not make a great deal of sense. Only Portsmouth supporters would back Pompey at the odds and general second favourite Fleetwood finished last term on the bottom half of the ladder. Forgive one not getting excited about odds of around 9.00 on a Cod Army side that ran 13th with a negative goal difference last time out. Chesterfield represents the English League Two pre-season value at odds of around 10.00 with Unibet to win the title for the second time in four years. The Spireites were the team that just missed out on last term’s play-offs when they finished the campaign in good form and had the best defensive record. Paul Cook’s side defensive statistics – 45 goals conceded in 46 English League One matches – were at least six goals better than every team except the champion, Gillingham – while the former Coventry midfielder, who has served his managerial apprenticeship on both sides of the Irish Sea, looks ready to make the next big step as a boss and guide Chesterfield out of England’s fourth tier. Chesterfield performed well against last season’s English League Two heavyweights – no side lost fewer games versus teams that finished on the top half of the ladder – so it seems reasonable to suggest that the Spireites will be a major force this term, particularly given their summer signing of ex-Swindon winger Gary Roberts. Chesterfield officials have been glowing in their praise of Roberts and so, too, have supporters of the Derbyshire team’s rivals. Two sides will fall out of the English Football League at the end of the season so betting on relegation from English League Two is very interesting. Bookmakers are betting odds of around 5.50 the field as well, which means that there are decent profits to be made for identifying the strugglers. 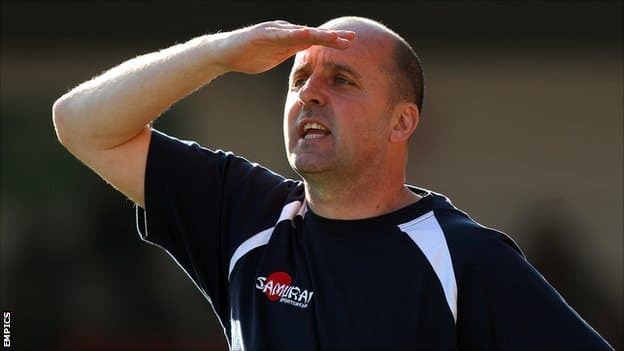 Dagenham & Redbridge – the ampersand is part of its official name – are one of the 5.50 chances (at Bet365) and, having survived by the skin of its teeth last term, one can see them returning to the non-league fold under novice manager Wayne Burnett. Long-serving Dagenham & Redbridge boss John Still left the Daggers after nine years to join Luton two months before the end of last season and, while Burnett managed to keep them in English League Two, it was more than luck than judgement as they ended up on the same points tally as relegated Barnet after losing their last three matches. Nineteenth and 22nd are the form figures of Dagenham & Redbridge and that was with Daggers legend Still at the helm. Still saw the writing on the wall, which is why he quit when he did. Having bagged bookmakers for their English League Two title odds, it is only fair to say that they appear to have framed their relegation prices correctly. Accrington is vying with Dagenham & Redbridge for favouritism and rightly so given that Stanley struggled last term and they have a novice manager as well – former England striker James Beattie. English League Two is a tough learning ground as Beattie may find out the hard way. Beattie spent most of his playing career in the higher echelons so it is probably fair to say that his knowledge of players in the lower levels of the English football pyramid is not up to scratch, at least not yet. An experienced operator would find it hard to keep Accrington out of a relegation fight so Beattie could end up regretting putting up his hand when Stanley wanted a boss. Of the much longer priced options, Exeter appeal at odds of around 13.00 with Irish bookmaker PaddyPower following Jamie Cureton’s move to Cheltenham and the awful way in which the Grecians ended last season.